Can Eating Green Apples Promote Hair Growth? Green Apples: How Do They Benefit Hair Growth? It's a long standing theory, and many believe it to be true - Green apples can help prevent hair loss and promote healthy hair growth. Just how much of this theory is true, and do green apples really benefit hair? Due to them being rich in fibre and in antioxidants, apples are excellent cell-renewing substances. In "Food and Chemical Toxicology," apple extract is listed as safe for human consumption, even at high levels of concentration. 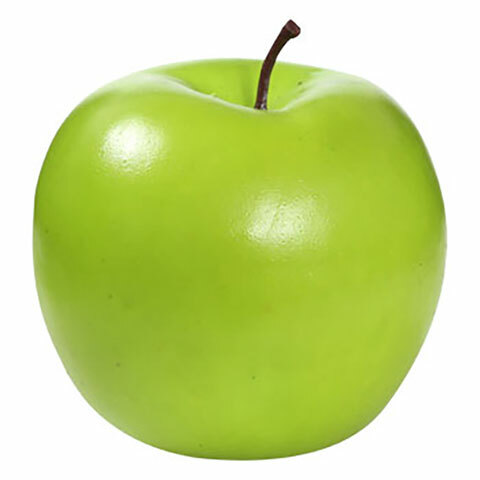 Green apples, in particular, offer consumers an easy and affordable solution for combating hair loss on a small scale. Research tells us that unripe apples contain Procyanidin B-2, a natural compound that handles proteins in a way that promotes hair growth. 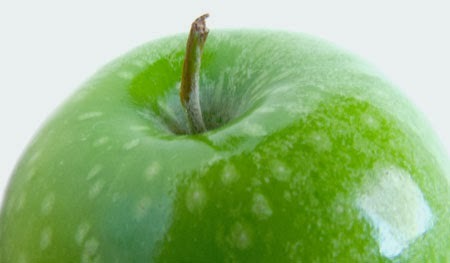 In a very low dosage, eating a green apple gives you some of this compound along with all of the antioxidant benefits. So, if your goal is to grow new hair and keep your current hair healthy, eat a green apple a day. Eating a decent portion of green apples every week can help prevent hair loss and promote healthy hair growth. Green apples are also rich in minerals such as iron, zinc, copper, manganese and potassium, which play a great role in the development and formation of hair strands. Many popular anti-hair loss shampoos and topical treatments contain apple-seed extract, on the basis it stimulates the growth of hair cells. Caffeine, which has also been identified as a hair-growth stimulant, is an ingredient commonly used with apple-seed to encourage stronger, faster hair growth. In 2002, a group of Japanese researchers at the Tsukuba Research Laboratory in Tsukuba, Japan, found two compounds that successfully promoted hair growth. One of these was from chardonnay grapes, while the other was from apples. The apple extract performed significantly better than any of the other compounds tested, prompting personal care companies to develop solutions for hair growth based on it. Research and testing does indeed suggest that green apples can play a significant role in promoting hair growth in men and women. However, eating a green apple a day will only benefit your hair on a minor scale. A larger dosage of green apple / apple-seed would need to be formulated for the best possible results on a much larger scale.